Software developer David King gives a peek into the daily workings of the GOV.UK Verify team — from the first standup meeting at 9:40 a.m. on a Monday through daily releases, showcase talks, and user research labs. It’s Agile development up close and personal, a window into how government agencies really CAN make their processes more efficient and user-focused. After standup we look at the stories on the wall and split ourselves into pairs to work together to complete that item of work. Within the identity assurance programme we favour working as pairs of developers. We find that pairing helps share knowledge and transfer skills throughout the team. It also produces high quality, maintainable code. In situations where it doesn’t make sense to pair, we ensure peer review as a minimum to see your work deployed into production. Daily releases to GOV.UK Verify are carried out in a pair of 1 developer and 1 web operations engineer. Other highlights throughout a week of working on GOV.UK Verify include observing user research in the lab. This is an opportunity for the developer team to see how our work affects users and keep the GDS mantra “What is the user need?” at the top of our minds. We ask each member of the delivery team to attend user research on a regular basis with the outputs from this research feeding into the ongoing improvement of our service. 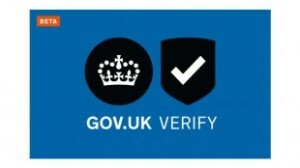 Working as a developer on GOV.UK Verify is about more than just programming. It requires communication and interpersonal skills – plus the creativity to come up with ways to make our ways of working better. We’re a busy team working on a challenging project and there’s a sense that our ideas can make a difference.